Start taking classes at Elite Body Pilates and other studios! 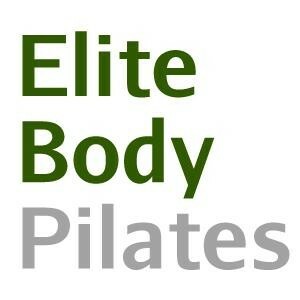 Elite Body Pilates offers safe, attentive and non-competitive Pilates classes by professional, certified instructors. Our bright and airy, fully equipped studio is conveniently located on Manhattan's Upper East Side - now conveniently accessible just a few blocks from the second avenue Q train. At EBP you'll get individualized attention in every single small group class - even Pilates mat classes are limited in size to just 5 people or less - to ensure you're getting a personalized workout every time you come to class. A pair of socks, a water bottle, and comfortable, stretchy clothing. The instructor adjusts to your needs. Nice class , started very slow , felt I’m practicing only towards the end . The instructor nice , it was only me and another girl so it was semi-private lesson. Small intimate class! Instructor was super accommodating that it was my first time on the reformer! My boyfriend and I ended up having a personal class! Delphine was great. We really enjoyed the class. We’re both new to Pilates and she was very accommodating! Great instructor, guides and corrects you. She truly focuses on your posture to ensure you are working the correct muscles. Mary was incredibly attentive and nice. I ended being the only one there and since it was my first time, I kind of appreciated that more. Not saying that will happen every time but it was a great experience. The class went by quickly and I’m already excited for my next one! I enjoyed the private setting. It was my first Pilates class using the reformer and tower. Mary was great, took the time to explain each move. Definitely coming back! This class was quite slow and I didn’t feel very challenged. Also, there’s no music, which I found awkward but that might just be a personal preference. I prefer more upbeat &amp; energetic classes.